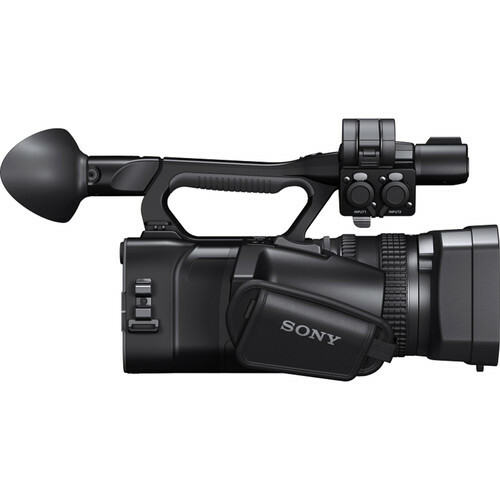 Sony HXR-NX100 NXCAM Professional Camcorder from brings high-quality performance, adaptability, and ease of use to a compact, handheld body. 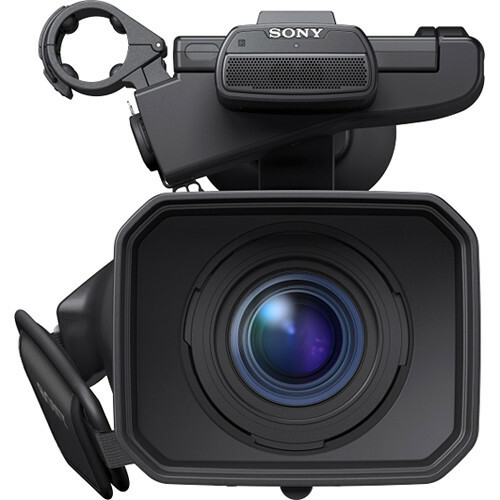 The camcorder features a single Exmor R sensor with Full HD 1920x1080 resolution, Sony G lens with 12x optical zoom range, and a 24x Clear Image Zoom. The integrated zoom lens features individual lens control rings for focus, iris, and zoom. The lens can be used in either full-auto mode with servo control, or as a completely manually operated lens. 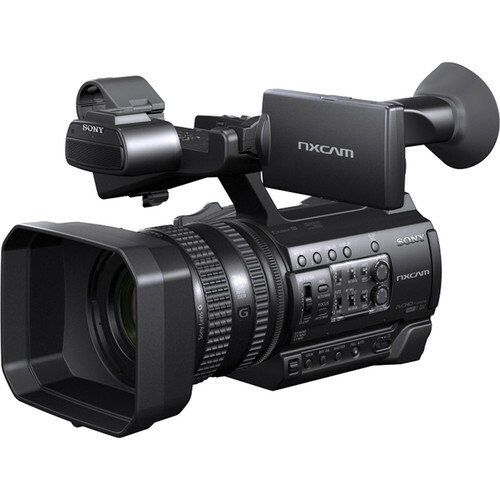 The camera supports storing up to 6 picture profiles and allows you share profiles between multiple NX100 camcorders. The camera also supports Sony's Slow and Quick Motion for shooting HD video at variable frame rates. 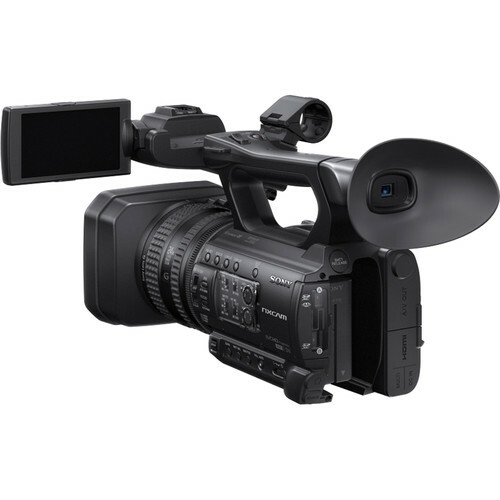 Recording to a variety of formats, frame rates and codecs, the camcorder supports the XAVC S codec recording Full HD video at up to 59.94p, AVCHD 2.0 up to 59.94p, and DV for SD video. Your footage is recorded to media via 2 x SD memory card slots. You can choose to record simultaneously to both cards or use the relay mode which switches recording automatically to the second memory card when the first one is full. The two card slots can be controlled independently from two separate record buttons. 2 x 3-pin XLR audio inputs support line, mic, and mic + 48 V (phantom power) for using professional microphones. The camera also includes IR capability for shooting in extremely dim lighting conditions as well as date/time stamp functionality.